Delight in the wholesome and rich taste of Pure Harvest Tahini. 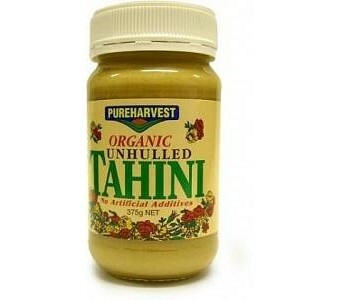 Made with 100% natural and orgainic seeds, the tahini has no added oil, sugar or artifical colourings or preservatives. We use a simple mechanical process that is free of chemicals or additives. We do not use any oil stabilizers in our products and the oil separation which sometimes occurs is a natural occurance in the Tahini. Just simply stir the oil back in to retain the smoothness and texture.